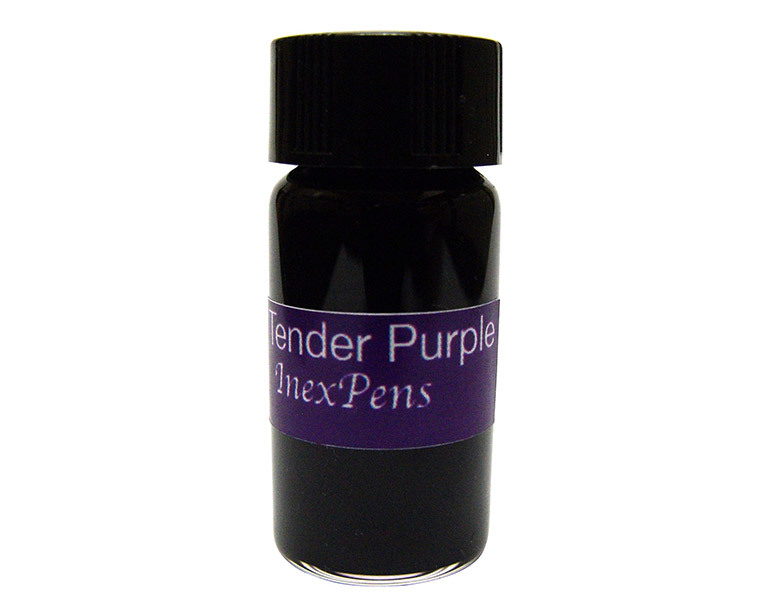 If you’re looking for a beautiful purple that works in any fountain pen, click here. Fountain pen ink is one of the joys reserved to fountain pen enthusiasts. With hundreds of shades to choose from, fountain pen users can test, use and collect unlimited ink shades. With so many different ink shades to choose from our fountain pen ink samples give you the opportunity to test and collect fountain pen ink for a fraction of an ink bottle price. No matter your personal taste or the occasion, there’s a perfect ink shade for your needs. You simply have to find it. And finding the perfect ink shades on each color is one of the pleasures of fountain pen ownership. 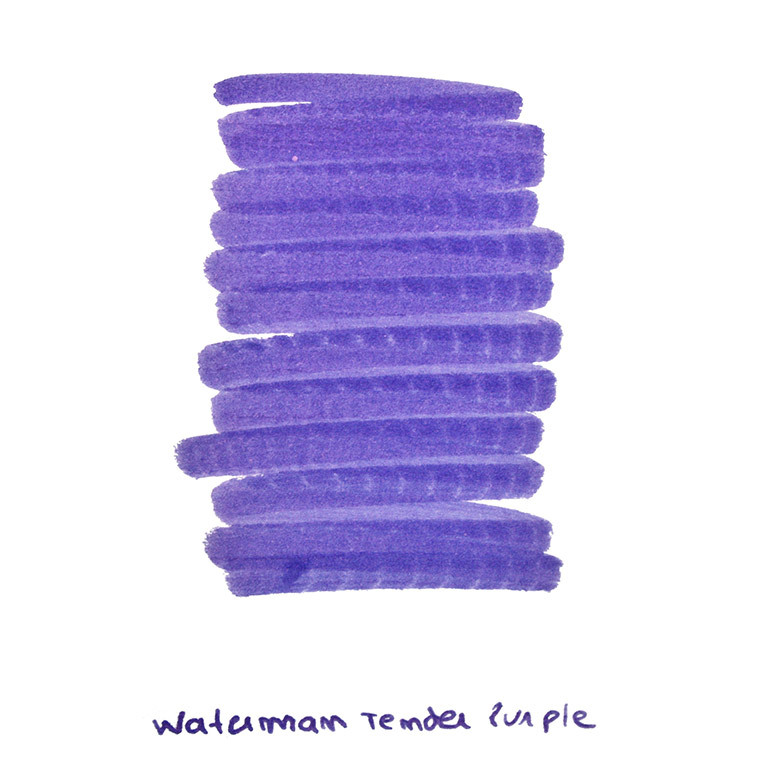 Waterman Tender Purple is a beautiful fountain pen ink. It’s a well-behaved ink on most nibs sizes and papers. 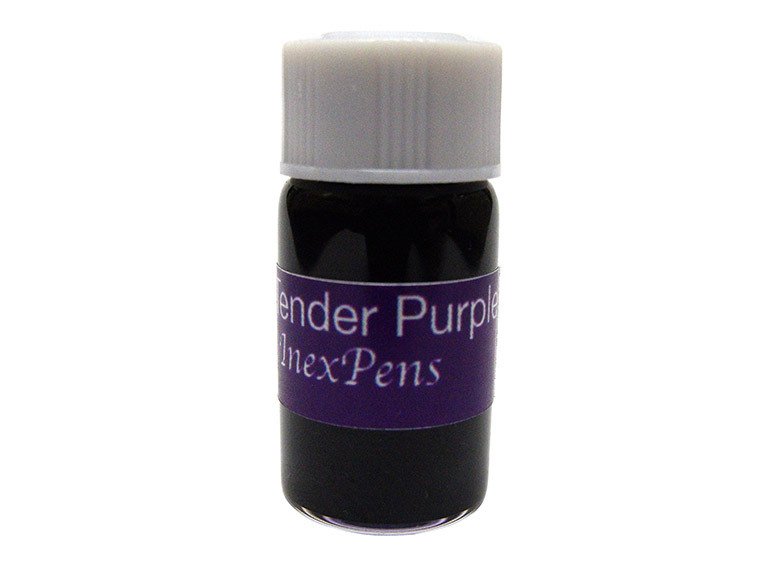 You can get your Waterman Tender Purple Ink Sample in any of our 3 ink samples sizes. You can get this ink sample in 3 different sizes: 2ml, 3ml or 5ml. This gives you unmatched flexibility to test and collect your fountain pen ink. The 2ml ink samples are the industry standard. They let you fill your converter or cartridge 2 to 4 times depending on your converter size. For some, that’s more than enough to test the ink and decide if they want to purchase a bottle. The 3ml ink samples are a perfect balance between the 2ml and the 5ml ink samples. They provide you a little more ink. You can fill a cartridge or a converter 3 to 6 times with a 3ml ink sample. The 5ml ink samples provide you more than enough ink to deep test and decide if it’s the right ink for your collection. These 5 ml ink samples are highly collectible. If you don’t write that much or if you plan on using dozens or hundreds of different inks, a 5ml ink sample can last you a long time. Read more about our Waterman Tender Purple Ink Samples. This entry was posted in Fountain Pen Ink Samples, Fountain Pens, Handwriting, Waterman. Bookmark the permalink.